Welcome to Walter Wurdack, Inc. Specializing in industrial finishes and coatings since 1938, Walter Wurdack Inc. serves the music, sport, aircraft, cosmetic, and leisure industries. Our customers are considered industry leaders in their respective fields. They are geographically distributed throughout the U.S. as well as throughout the world. Cleared by the Department of Defense for government projects, Walter Wurdack Inc. is a longstanding member of various national chemical and coating manufacturer associations. At Wurdack, every product begins with a problem to solve or an improvement to be made. Only rarely is the request an exact repeat of a previous project. Our lab works full time to meet the requirements of our customers to develop an optimized coating product to meet or exceed their needs. 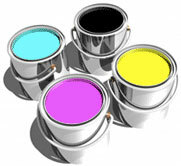 As a specialty coatings manufacturer Wurdack has experience with a broad range of coatings systems. While the name-brand guys will either try to re-sell something already in the can or require large quantities to justify overpriced lab time, we can nimbly respond to your request.